In this part of our series on sola Scriptura, we’re looking at the question of history. Previously, I presented three observations that made it increasingly hard for me, still a Protestant, to believe that Christians living in the decades and centuries immediately following the death of the Apostles were thinking in terms of sola Scriptura. I could find no hint in the writings of the Apostles that Christians living in the post-apostolic period should be thinking in terms of sola Scriptura. It seemed strange to me that something so foundational would not be mentioned anywhere. The fact that the Church took several centuries to formally define the canon of Scripture argued against the notion that Christians, during those centuries, were looking to the Bible as their sole infallible rule for all doctrine and morals. The fact that the earliest Christian creeds, while containing statements of belief in the Holy Spirit and in the “Holy Catholic Church,” say nothing at all about Scripture, seemed to me to give evidence of a more Catholic conception of how the apostolic teaching would be preserved within the Church. If sola Scriptura was to be the rule of faith and practice for the early Church, why did the Apostles, who while they were living provided a living authority, not talk about this? Why did they do nothing to prepare their people for such a fundamental shift? Why would the bishops of the early Church allow decades and centuries to pass before nailing down exactly which books were to be considered inspired and included in the Christian’s Bible? Why would the foundational role of Scripture not be mentioned in the early creeds of the Church? None of this made sense to me. Understand, I didn’t consider these three observations as unassailable “proofs” that the early Church was not Protestant. I did, however, consider them as “evidences” of a mindset within early Christianity that simply did not fit the mindset I had been trained to have as an evangelical Protestant. But what about the actual practice of Christians living in those earliest centuries following the Apostles? Did the early Church Fathers teach and practice sola Scriptura? What do they say about these issues of Scripture and Tradition? Of course, Protestant apologists insist that the early Church was committed to sola Scriptura. To demonstrate this they quote passages from the writings of the early Fathers that speak of the authority of Scripture and how all true Christian teaching must conform to Scripture and be supported by Scripture. Probably the most often quoted is the following passage from the Catechetical Lectures of St. Cyril of Jerusalem, written c. ad 250. For concerning the divine and Holy mysteries of the faith, not even a casual statement must be delivered without the Holy Scriptures; nor must we be drawn aside by mere plausibility and artifices of speech. Even to me who tell you these things, give not absolute credence, unless you receive the proof of the things, which I announce from the Divine Scriptures. For this salvation, which we believe depends not on ingenious reasoning, but on demonstration of the Holy Scriptures. Now, if this were the only thing the early Church Fathers had to say about the issue, I would agree that it seemed to imply that Scripture should function as the Church’s sole infallible rule. But it’s not. We also find passages like the following from Origen in the preface to his Fundamental Doctrines (c. ad 225). 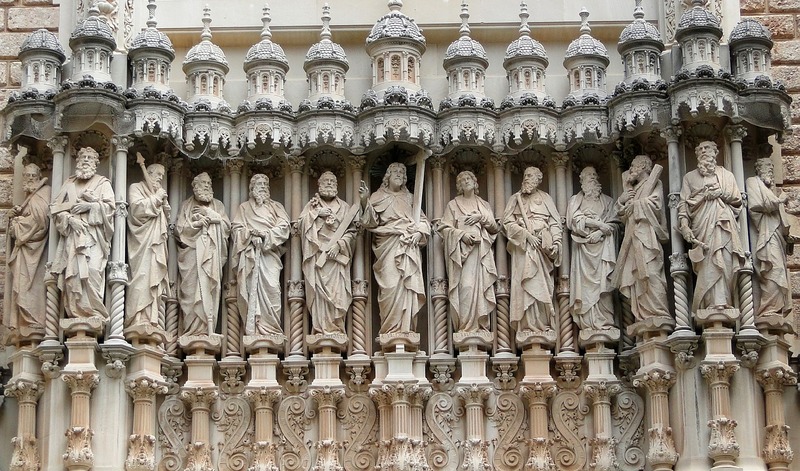 The teaching of the Church has indeed been handed down through an order of succession from the Apostles, and remains in the churches even to the present time. That alone is to be believed as the truth, which is in no way at variance with ecclesiastical and apostolic tradition. While the statement of Cyril sounds like something a Protestant might say, the statement of Origen sounds like something a Protestant would never say. How would one reconcile the two? As a Protestant, I would have said that that Origen is placing too much authority in the hands of the Church, and that, ultimately, “ecclesiastical tradition” has little authority. What matters is what the Bible says! But the Catholic theologians I was reading harmonized the two statements. First, they emphasized that Catholics agree with Protestants that only Scripture is divinely inspired, that it must hold the place of primacy in the Church’s structure of authority, that nothing can be taught as divinely revealed that contradicts Scripture or that cannot be supported by Scripture. But isn’t this essentially a statement of belief in sola Scriptura? It would be, except that they went on to make a second point: While Scripture is authoritative and, alone, divinely inspired, it has to be interpreted. Someone has to assemble all the various passages dealing with whatever issue is being considered, interpret them within their literary and historical contexts, make sense of how they all fit together and draw conclusions as to what exactly is being taught. As helpful as it might be, the Bible doesn’t just leap up and announce to us: “Here is the correct doctrine of Christ, and of the Church, and of Salvation, and of the Sacraments!” If it did, there would not be so many Protestant Christian sects and denominations. Rather, the inspired Scriptures have to be interpreted. And because of this, while we find the Church Fathers speaking eloquently of the inspiration and authority and, as in the quotation from Cyril, even what Catholics refer to as the primacy of Sacred Scripture, we also find them speaking of the authority of Tradition as the lens through which Scripture must be read and properly interpreted. When I first read the Fathers and began to run into these sorts of passages, I recognized immediately that I was being exposed to a mindset that was very different from what I knew as an Evangelical Protestant. At minimum, this was obvious. I was a Protestant pastor, and I knew that if I had preached a million sermons over the course of a million Sundays, I would never have thought to speak as St. Irenaeus here speaks. I would never have thought to describe the truth as something the Apostles deposited in the Church like a rich man deposits his money in a bank. I would have said they deposited the truth in the writings of the New Testament. Period. I would never have said that “everything which pertains to the truth” could be found in the Church and drawn from the Church. I would never, ever have implied that even if the Apostles had left us no writings, Christians could know the truth in “the order of tradition, which was handed down to those to whom [the Apostles] entrusted the churches.” No way on earth! And yet, this is what Irenaeus said. In fact, I discovered fairly quickly that this is the sort of thing all the Church Fathers said. Their words began to haunt me. The teaching of the Church has indeed been handed down through an order of succession from the Apostles, and es even to the present time. That alone is to be believed as the truth, which is in no way at variance with ecclesiastical and apostolic tradition (Origen). Moreover, if there be any (heresies) bold enough to plant themselves in the midst of the apostolic age, so that they might seem to have been handed down by the Apostles because they were from the time of the Apostles, we can say to them: let them show the origins of their Churches, let them unroll the order of their bishops, running down in succession from the beginning, so that their first bishop shall have for author and predecessor some one of the Apostles or of the apostolic men who continued steadfast with the Apostles…. Then let all the heresies … offer their proof of how they deem themselves to be apostolic (Tertullian, Prescription Against Heresies 32, c. ad 200). As I said before, the Church, having received this preaching and this faith, although she is disseminated throughout the whole world, yet guarded it, as if she occupied but one house. She likewise believes these things just as if she had but one soul and one and the same heart; and harmoniously she proclaims them and teaches them and hands them down, as if she possessed but one mouth. For, while the languages of the world are diverse, nevertheless, the authority of the Tradition is one and the same (Irenaeus, Against Heresies I:10:2). There was no way for me to escape this reality: the early Church Fathers did not speak about Tradition and its relationship to Scripture in ways even close to how Protestants speak of these things. Their way of thinking and speaking revealed a mindset very different from the mindset I had been steeped in for twenty years as an Evangelical, the mindset of every Evangelical I had ever known. At the same time, I had to admit that the mindset of the Fathers was like the mindset of the Catholic documents I was reading. Reading the Dogmatic Constitution on Divine Revelation from Vatican II, I could see that the Catholic Church spoke like the Fathers spoke. I had come to believe that the New Testament simply didn’t teach sola Scriptura. Now I was coming to believe that sola Scriptura had not been the faith of the early Church. 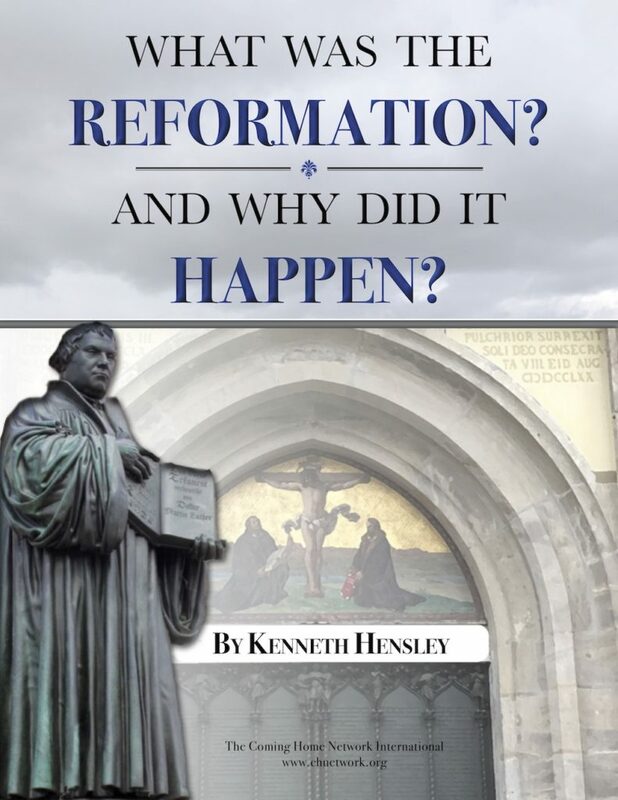 For more of Ken Hensley’s thoughts on sola Scriptura, read his series Is Sola Scriptura Scriptural?